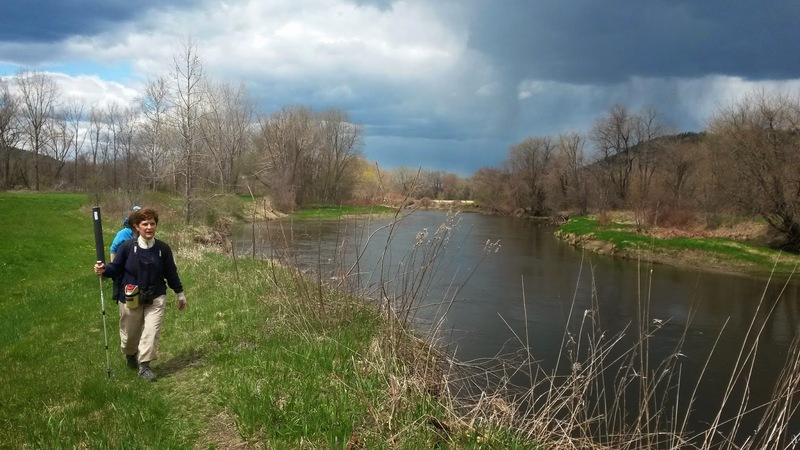 Last week, we walked the mostly flat section of the AT from Jug End Road to the Housatonic River. I love this section for the variety of habitats and the boardwalks and bog bridges through the wetlands. 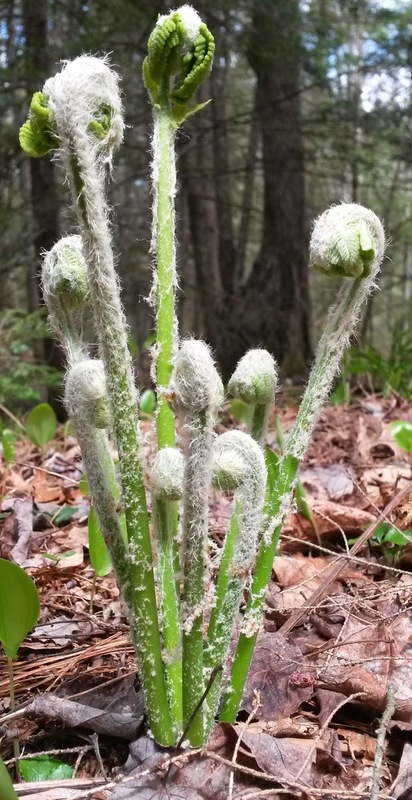 We found spring growth progressing quickly with flowers and buds everywhere. This is always an exciting time with new flowers and changes every day. 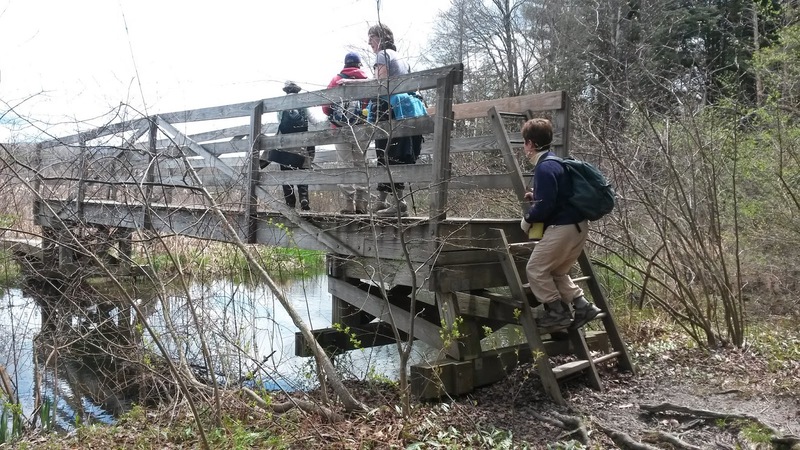 Several well-built bridges and lots of boardwalk protect the wetlands. 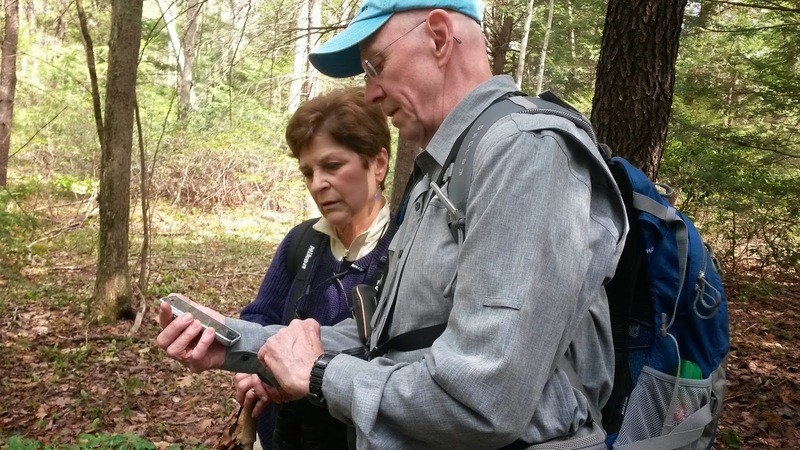 Diane & Bob identify a bird with an app on Bob's smart phone. Helpful technology in the wild! 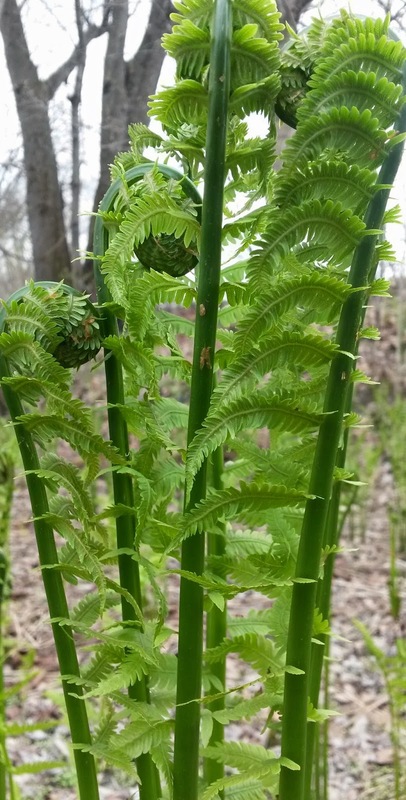 Different varieties of ferns have very different fiddleheads. On the left is Christmas fern and on the right is Ostrich fern. 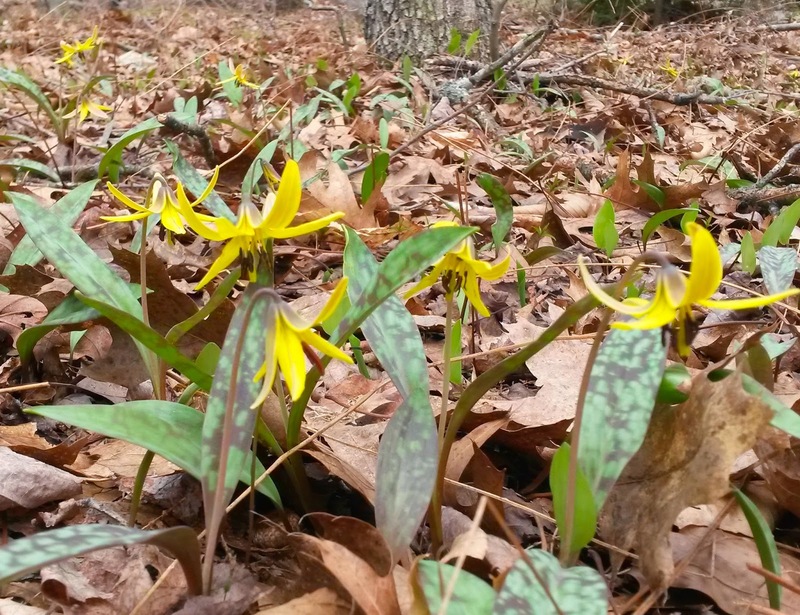 although it is a member of the Lily family. 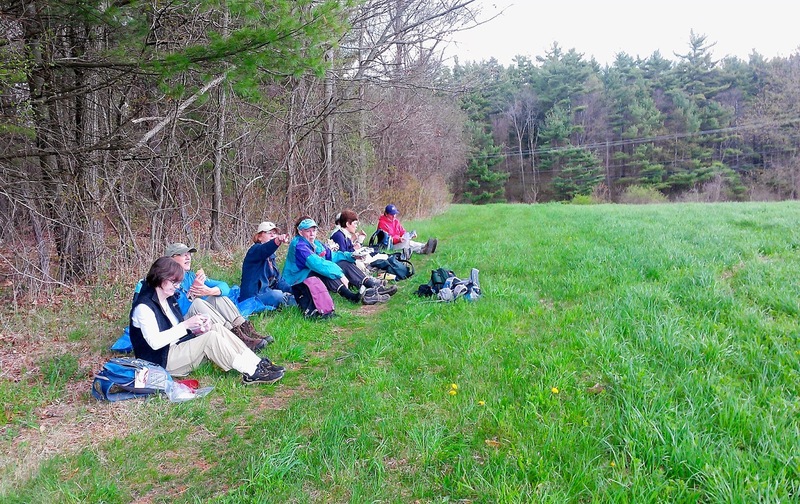 We had lunch in a beautiful field with a great view of Mount Everett. We got back to the cars before the rain.